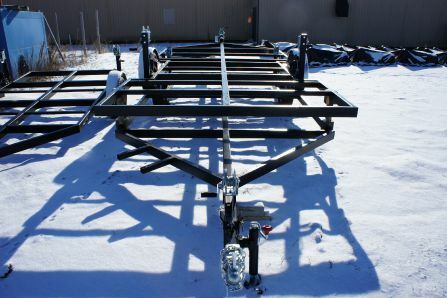 Tebben single axle crank up fish house frames feature 2x3 steel tube frames. These ice house frames are powder coated for years of durable finish. 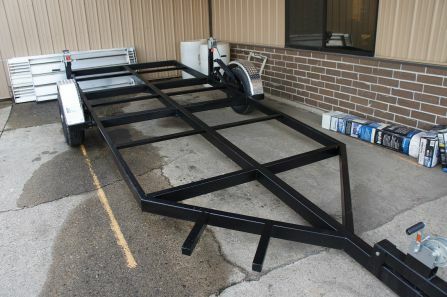 Frames come with winches, cables, tires/rims, and tongue jack.